Living... with his best friend, the (talking) Great Dane Scooby-Doo. Norville Rogers – everyone calls him Shaggy – and Scooby rarely leave each other’s side. They have even known to jump into each other’s arms, typically when one or both of them are afraid. Which is often. Profession... member of the Mystery Inc. detective crew. 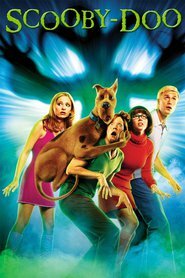 Shaggy and Scooby join their friends Fred, Daphne, and Velma to solve supernatural mysteries. Though Shaggy and Scooby tend to spend most of their time being scared and/or eating. They do very little actual crime-solving, except what they inadvertently get done along the way. Interests... food. Shaggy is perpetually hungry. Fred likes to say that Shaggy has a high metabolism, while Shaggy himself often chalks up his appetite to the fact that’s he’s frequently terrified by the ghosts and other ghouls they encounter in their work. The fact that the paranormal visions almost always turn out to be fakes perpetrated by criminals or other ne’er-do-wells doesn’t make Shaggy any less afraid the next time. Relationship Status... single. Shaggy has two main relationships: with his pal Scooby, and with food. Challenge... overcoming his fear and tendency toward loafing to help his friends solve cases. On the surface, Shaggy isn’t a very helpful member of Mystery Inc. He’s generally too afraid to actively pursue leads, and he and Scooby tend to accidentally set off the elaborate traps set up by Fred and the others. Shaggy mostly shivers with fear and says, “Zoinks!” Even so, Shaggy and Scooby have a surprising knack for (sometimes) capturing the bad guys, though they usually do so unintentionally. But hey, it’s all about results, right? Personality... goofy and laid-back. Shaggy wouldn’t hurt a fly. He’d also likely be afraid of it. If he could, he’d sit around all day with Scooby, watching TV and eating pizza with extra cheese and pickles. Maybe if he and the gang can solve their next mystery really fast, he’ll finally get a chance to do just that. Norville "Shaggy" Rogers 's popularity ranking on CharacTour is #1539 out of 5,000+ characters. See our top-ranked characters and read their profiles.